Quietly, in a La Crosse, Wisconsin industrial park, a business firm is establishing the energy policy of the United States in ways that will reduce pollution, lower transportation costs and improve national prosperity for years to come. For those of us in Wisconsin, Minnesota and Iowa, Kwik Trip is an incredibly clean and efficient convenience store (“C” store as they are known in the industry) where we purchase gasoline, bananas, fresh fruit, donuts, pizza and even fresh meat. Don Zietlow’s company, which will celebrate its 50th birthday in 2015, has a marvelous corporate culture, including the policy of annually distributing 40% of its pre-tax profits to employees. However Zietlow isn’t just the owner of over 400 convenience stores; he and his coworkers are energy visionaries who are building fueling stations across the upper Midwest for compressed natural gas (CNG), which I predict will fuel half of the big rig semi-trucks operating in the United States by 2019. Last week I had the pleasure of touring the transportation facilities of Kwik Trip with Chad Hollett, its head of transportation who leads the CNG project. Compressed natural gas has been fueling vehicles for over 50 years. The technology of CNG to power internal combustion engines is solid and well established. CNG is used widely in South America and in India to fuel busses, trucks, and even automobiles. 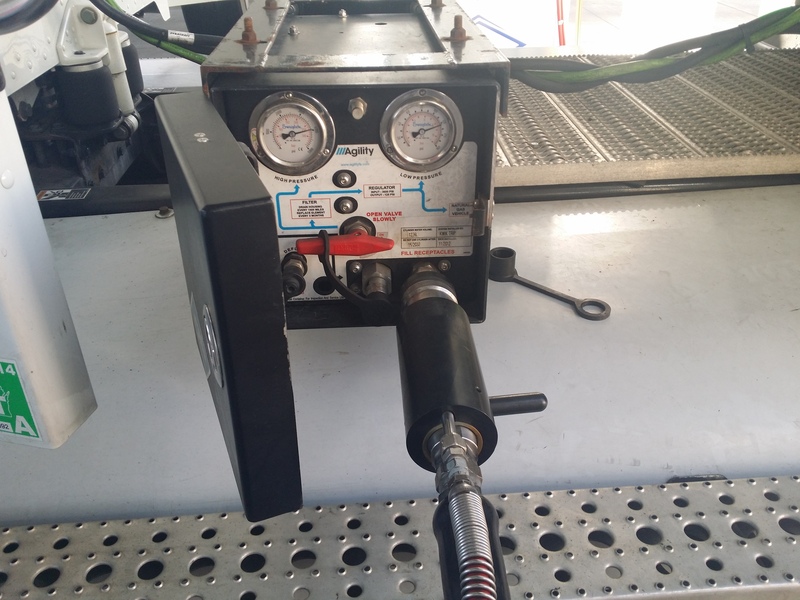 CNG has three main advantages compared to gasoline or diesel fuel. First, the United States has the largest supply of natural gas in the world; enough to power vehicles here for the next 100 years. Second, CNG is environmentally friendly, emitting 30% less pollution than gasoline or diesel fuel. Because CNG is a gas, it is incapable of leaking into the soil as a result of a ruptured storage tank. Third, CNG costs roughly half as much as gasoline or diesel fuel. As of 10/19/2015 regular gasoline in La Crosse was priced at $3.09 per gallon while the equivalent price of CNG was $1.71 a gallon. While CNG has been used for decades in the United States, it has not been available in a “retail” setting where thousands of cars and trucks can simply fill up at the pump. 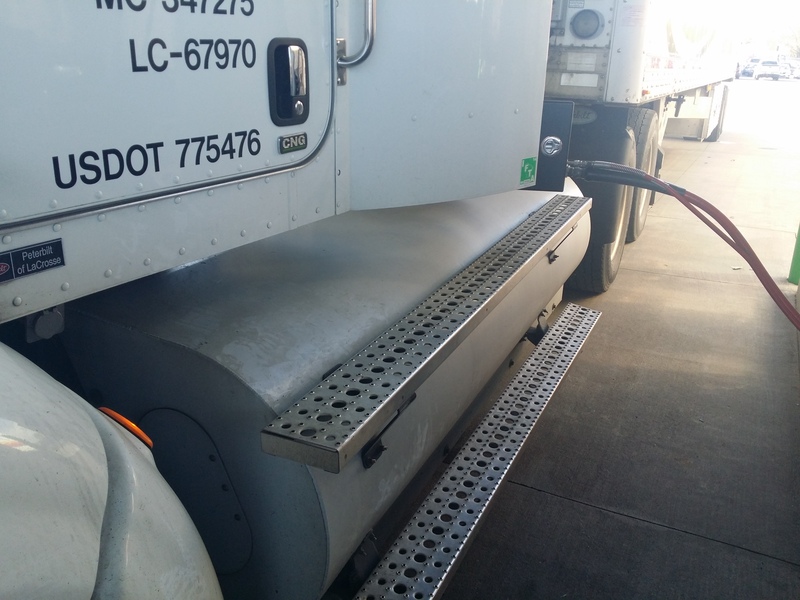 Kwik Trip improved compression technology so that vehicles can be fueled with diesel or CNG in about the same time. The company has also invested millions of dollars to set up over 40 fueling stations (soon to be 120) in its three-state area. Every business day Kwik Trip staffers call on trucking companies, urging them to convert their rigs to CNG. It’s not a tough sell. Due to the lower price of CNG the conversion process pays for itself in 6 months! Trucking companies and truck manufacturers are beating down Kwik Trip’s doors to get in on the action. Incredibly, while they are saving money they are also saving the environment. While politicians flap their jaws about energy policy, Kwik Trip is actually creating a cleaner environment while saving businesses (and the US economy) billions of dollars a year. The Kwik Trip story illustrates yet another fact of life. Government does not create jobs, progress or prosperity. Free markets are always ahead of the “political” curve. Economic common sense, as revealed in market prices, eventually rules the day. Unlike the ethanol lobby, Kwik Trip hasn’t received a penny from the Federal Government or any government agency. Instead, Kwik Trip has done what entrepreneurial companies do, they took real financial risk in establishing the retail CNG market. When history is finally written it will show that a few folks in La Crosse, Wisconsin broke ground for a US energy policy that established CNG as the “bridge” between the fossil fuel world and technologies that will finally give us truly clean energy. Think about that the next time you drop into Kwik Trip to get your next cup of coffee and glazer donut!